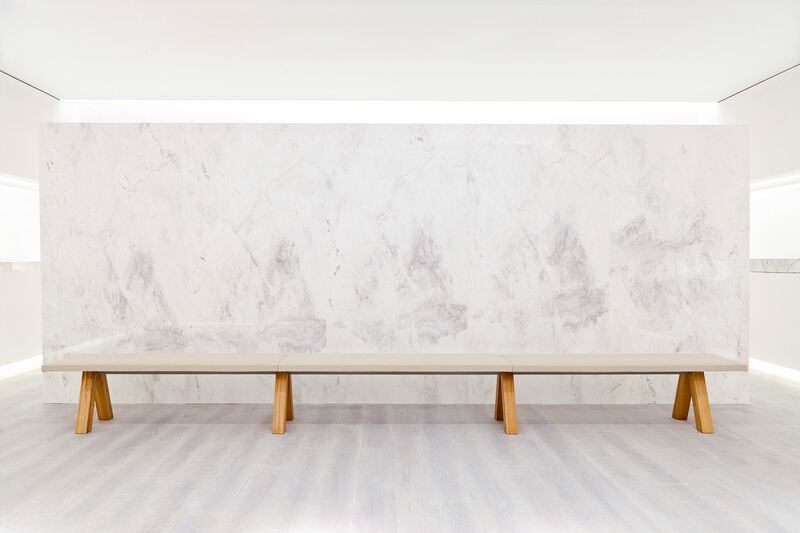 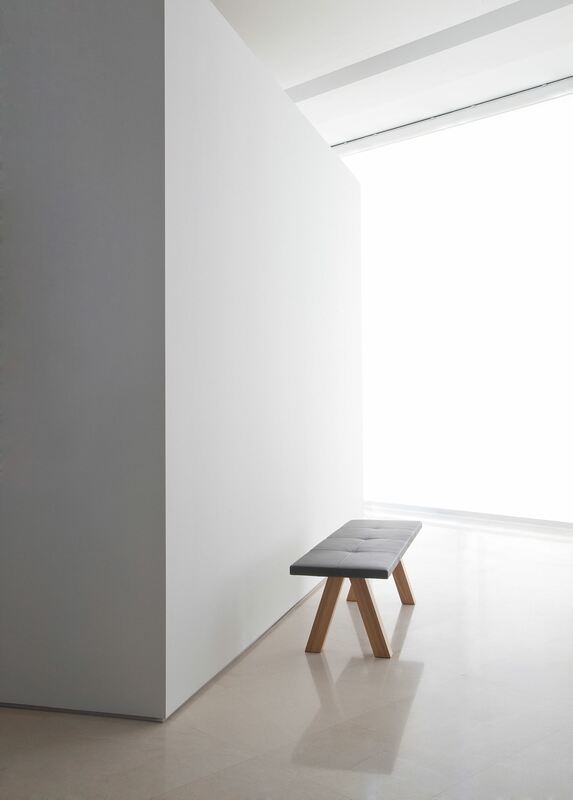 With all the usual elegance of Pawson, this bench once again surprises us with its exquisite proportions. 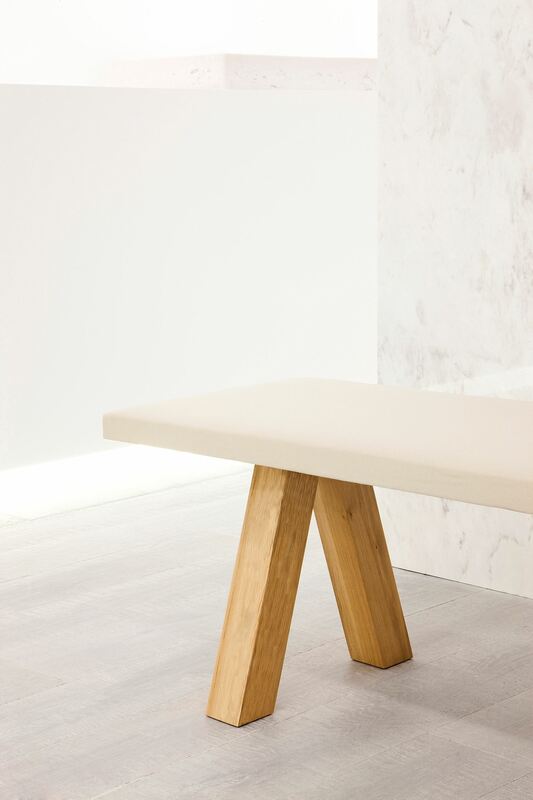 Solid oak feet and a subtle seat upholstered in a plain or padded finish in our collection of fabrics and leathers. 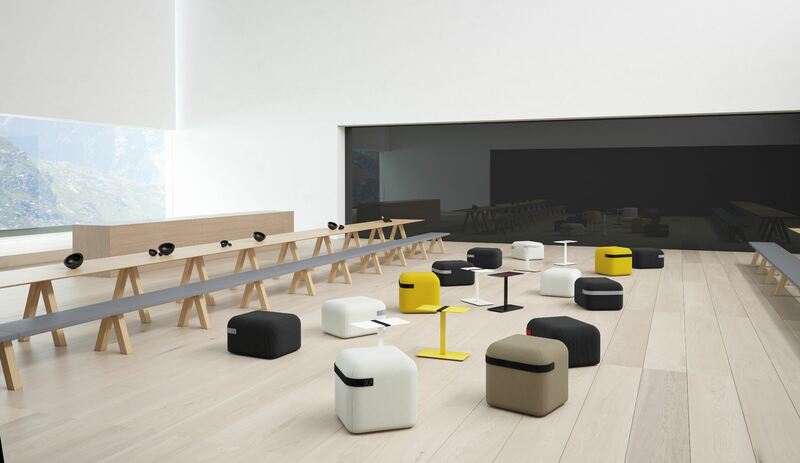 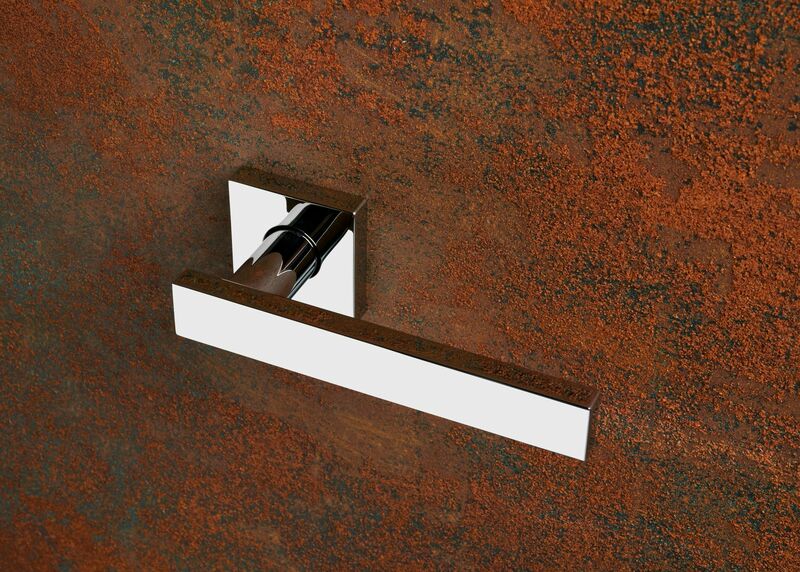 Ideal both for the home - in its short version - and for waiting areas and hallways in smart public spaces. 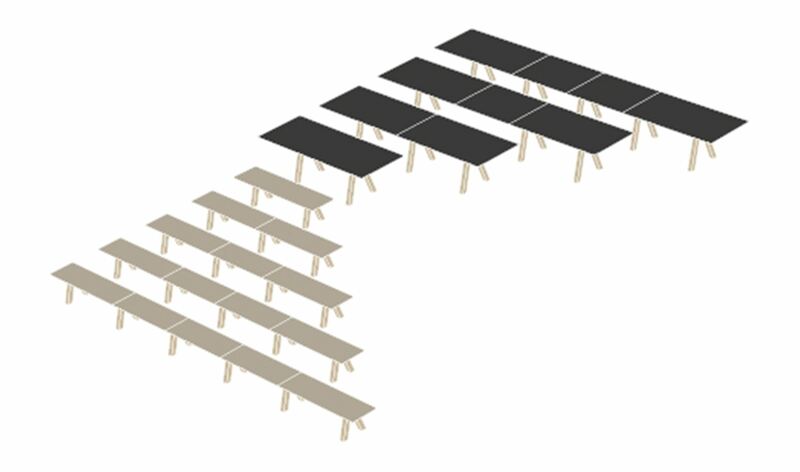 Inner compact board covered by expanded polyurethane foam and polyester fiber. The finish could be with or without stitching. 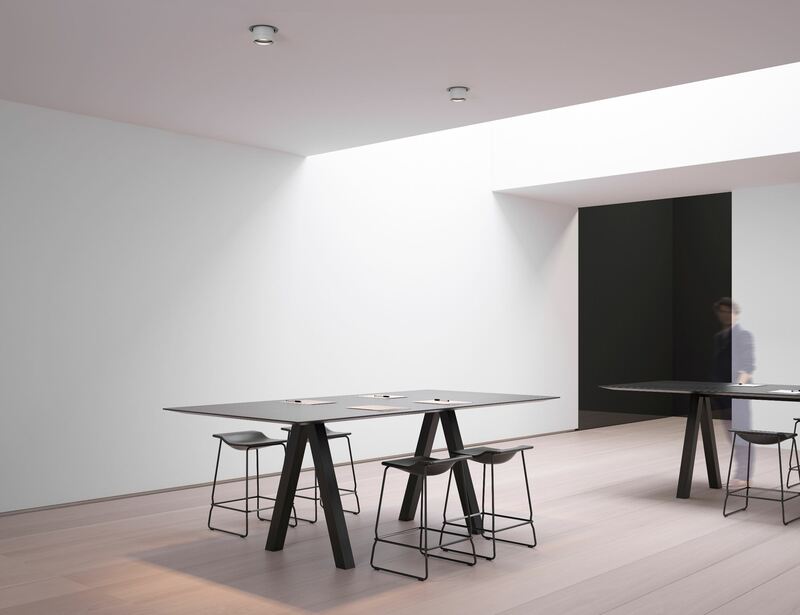 Calibrated steel tube beam in powder coated thermoreinforced polyester in dark grey. 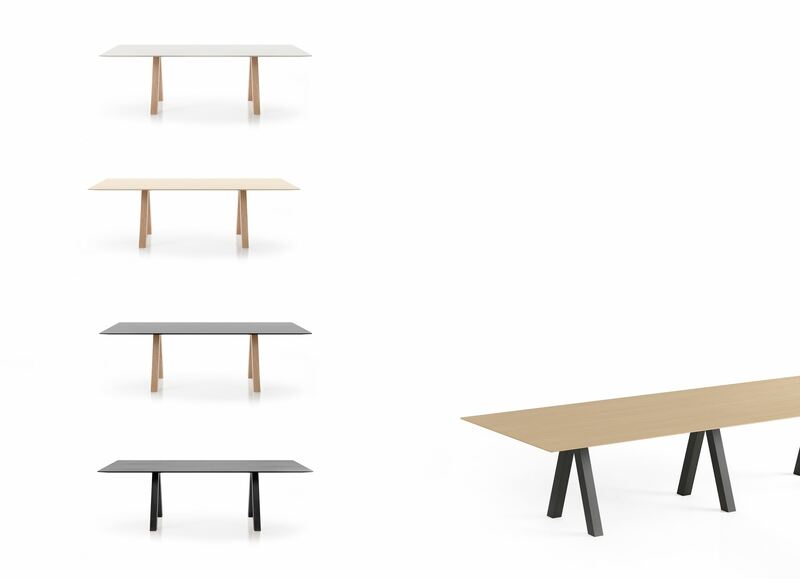 Legs in solid oak wood stained in the colours of our collection. 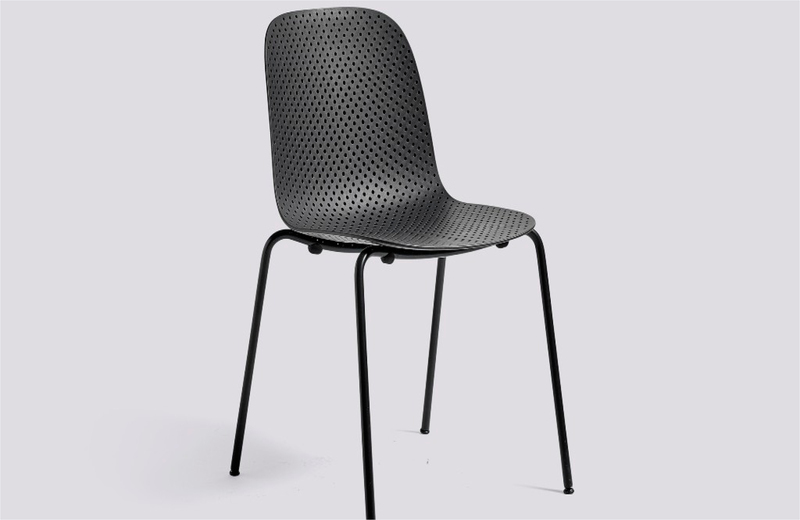 Backrest made in MDF covered by expanded polyurethane foam and polyester fiber. 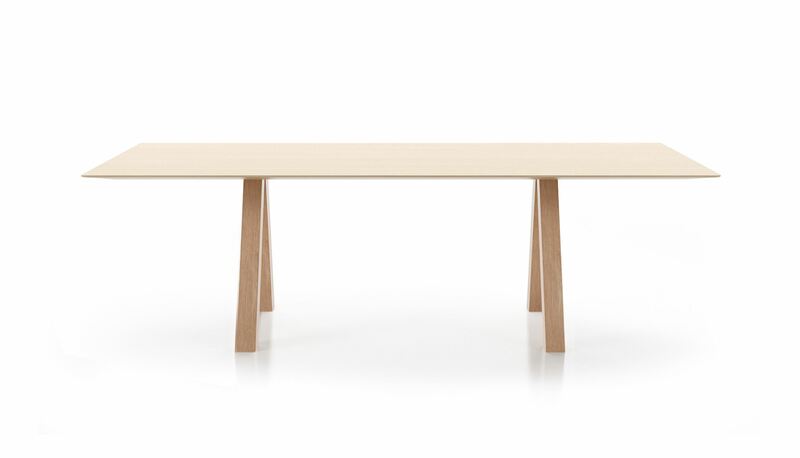 The finish could be with or without stitching. 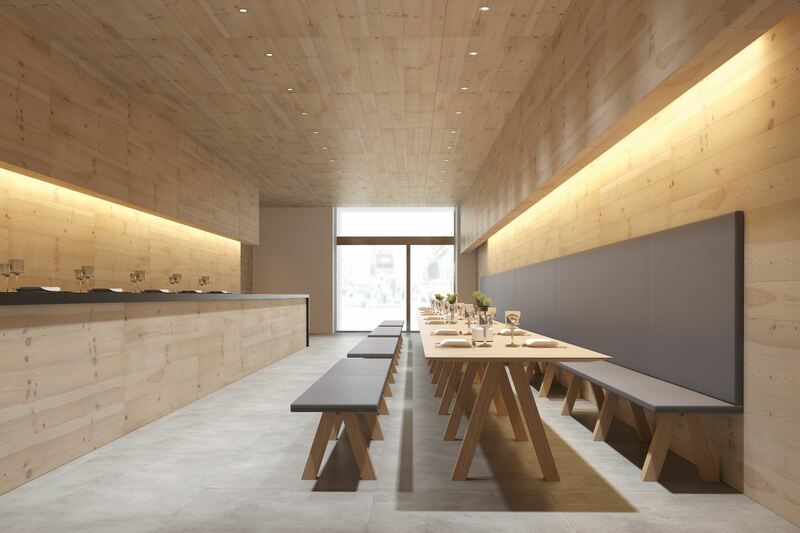 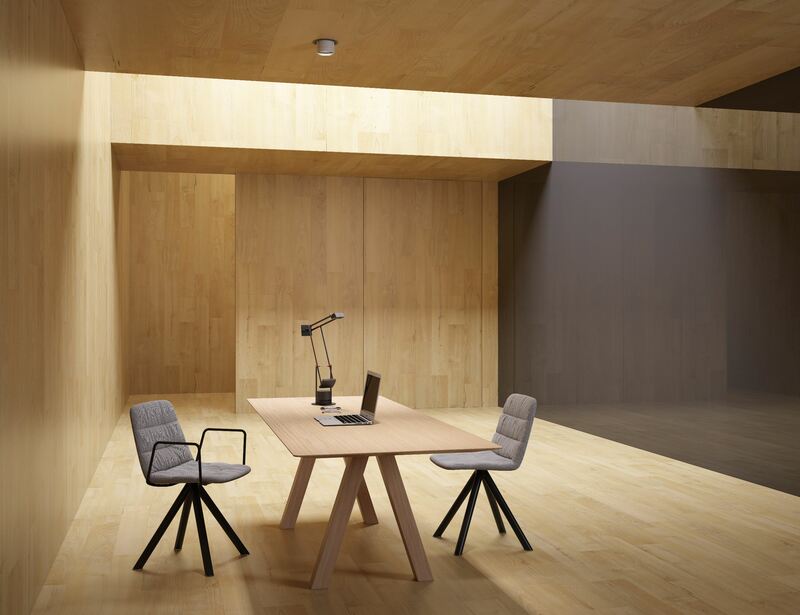 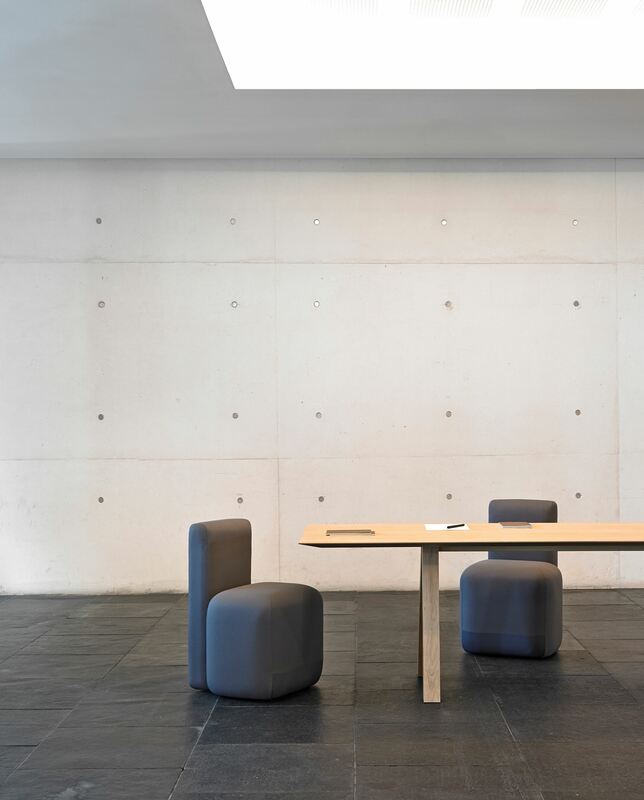 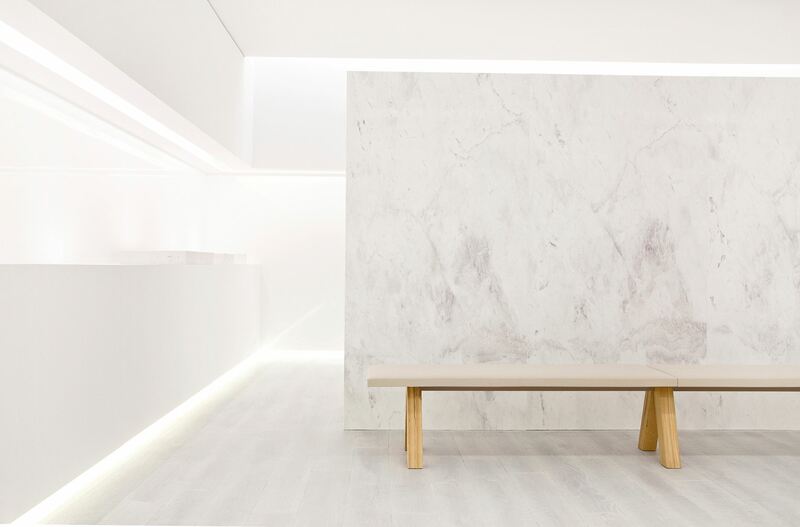 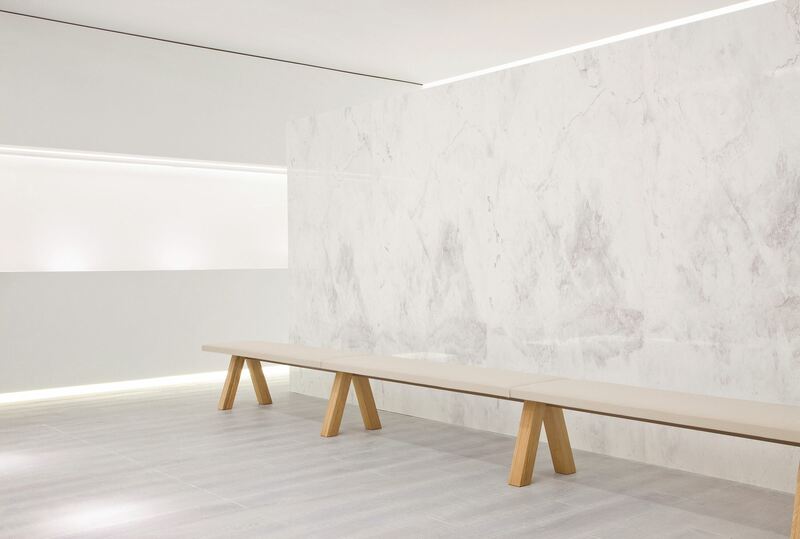 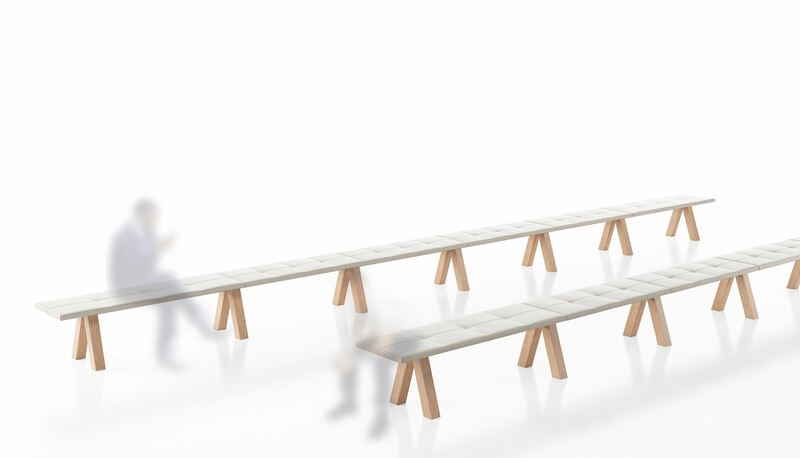 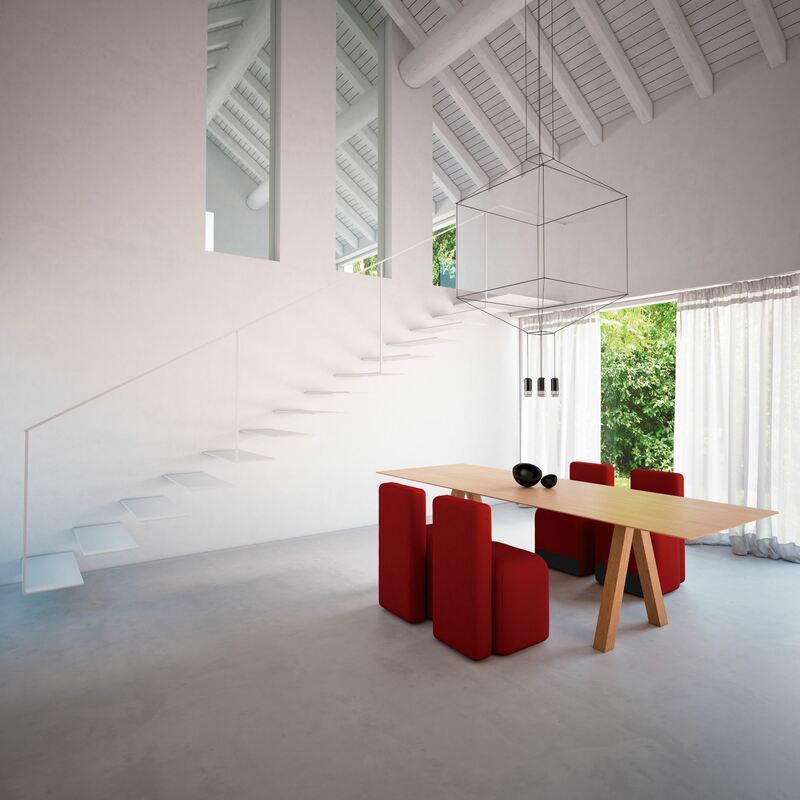 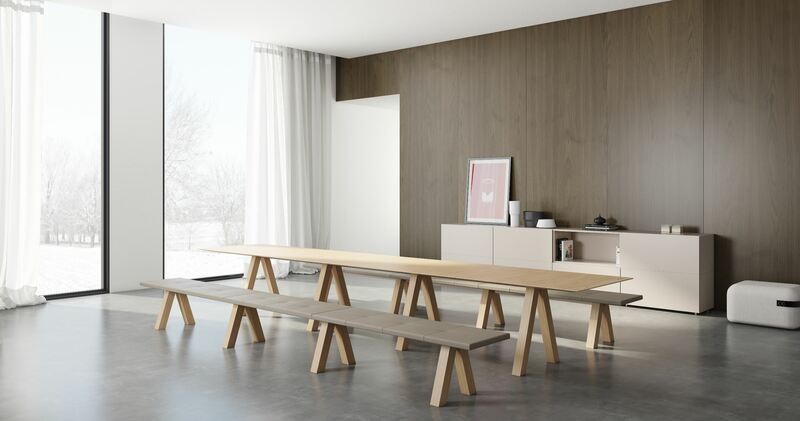 The customary elegance of Pawson surprises us once again with this immense table and bench of exquisite proportions. 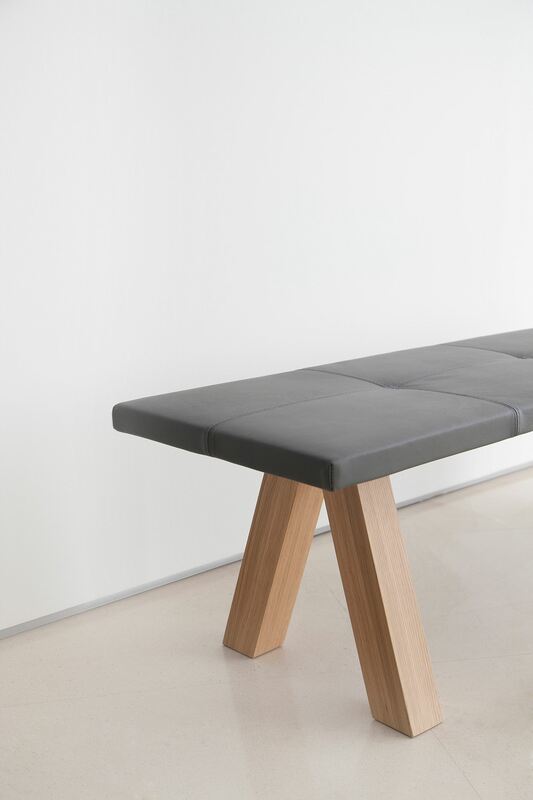 Solid oak feet and a subtle seat upholstered in a plain or padded finish in our collection of fabrics and leathers. 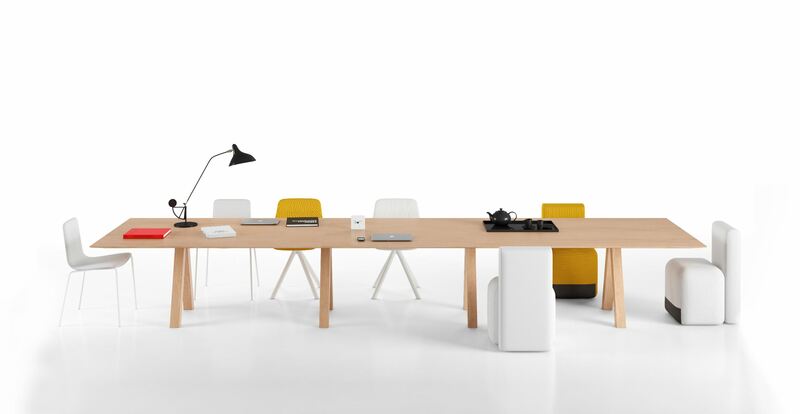 Ideal both for the home - in its short version - and for waiting areas and hallways in smart public spaces. 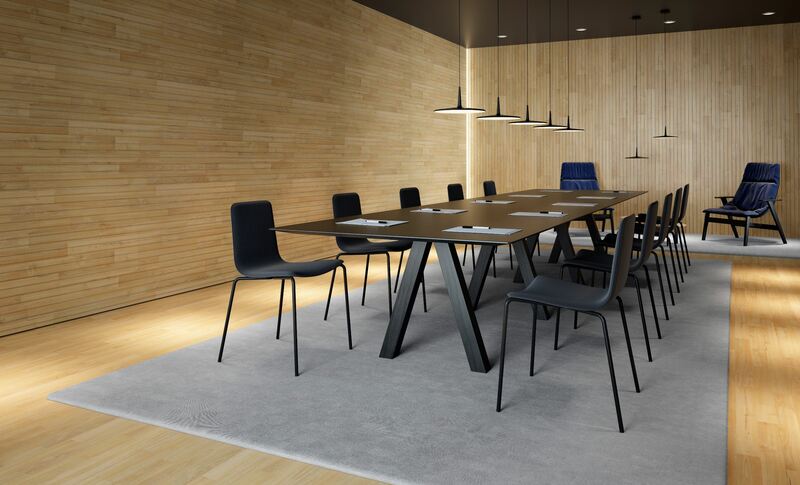 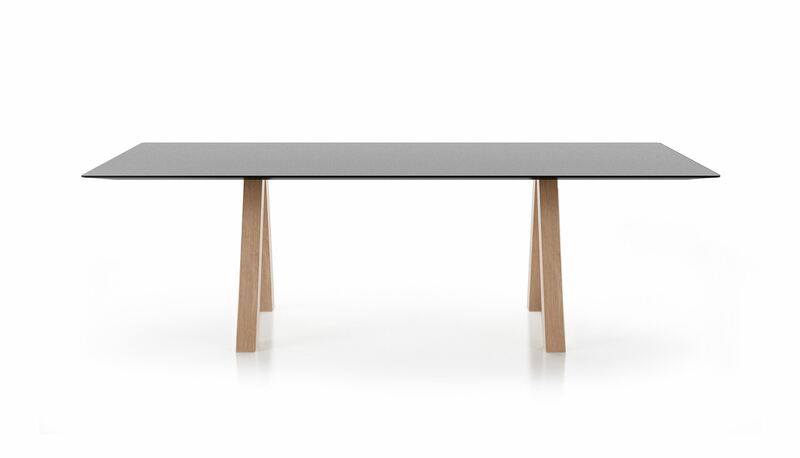 30 mm thick table top in MDF with staned oak veneer or microtextured lacquer in white, black, sand or smoke grey. 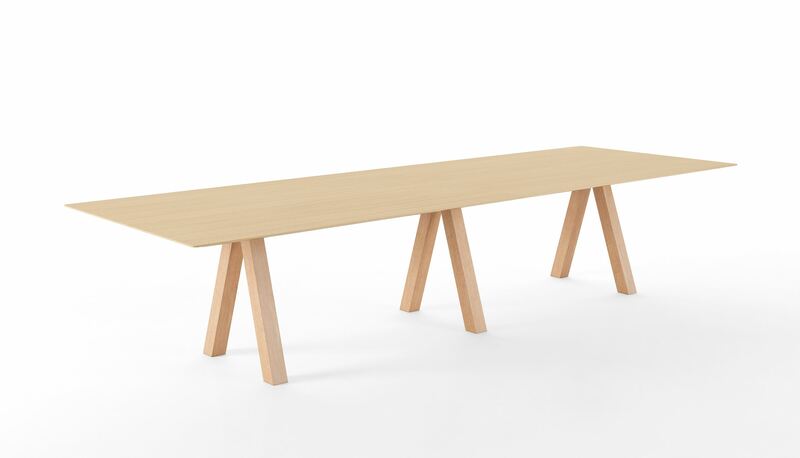 Table top is also available with birch plywood finished with HPL in different colours. 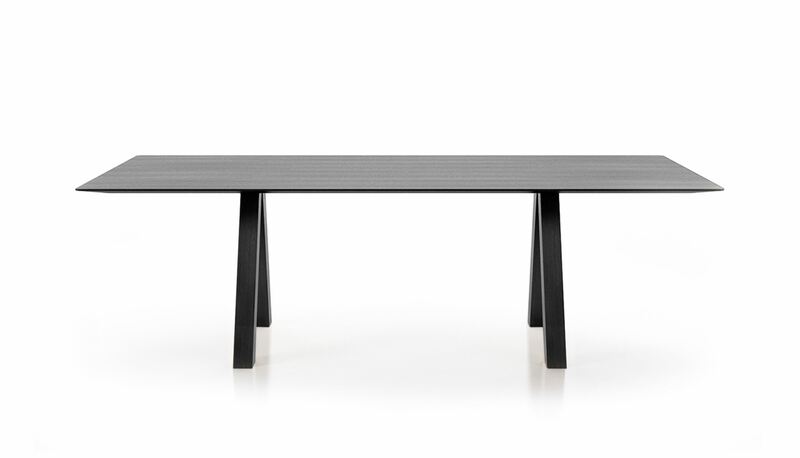 Calibrated steel tube beam in powder coated thermoreinforced polyester in dark grey. 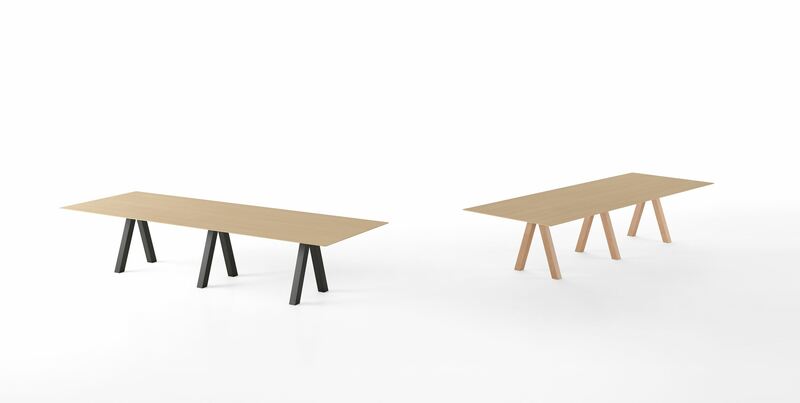 Legs in solid oak wood stained in the colours of our collection.